Without knowing a word of Basque I’m relieved to find my simple Castilian Spanish suitable for asking to see the producer label. Many of the San Sebastian pintxos bars carry the same sidra natural en botella, and this sentence helped me cover the lot of sidrerias which send their bottles to town for the restaurants. Vascos drink a lot of sidra natural, but Vascos aren’t picky about what kind of sidra natural they drink, only that it’s local. 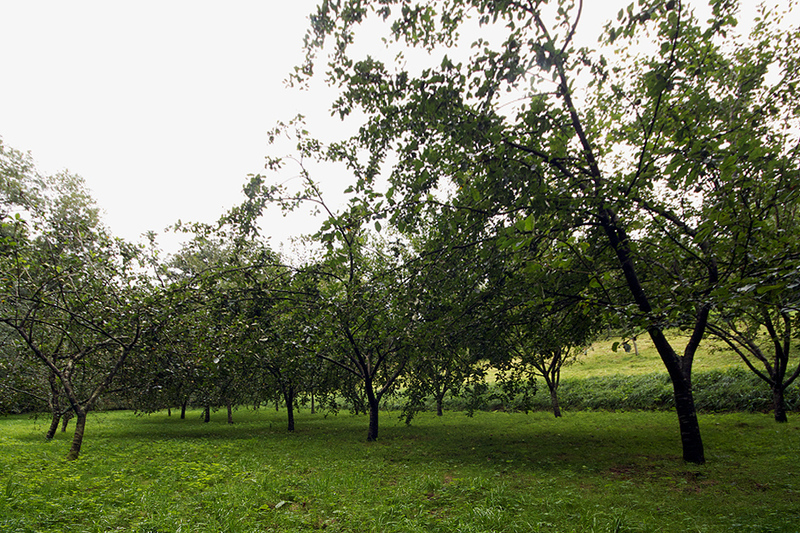 To be fair, the characteristics of sidra natural vary little among producers, and most produce cider in the same way. 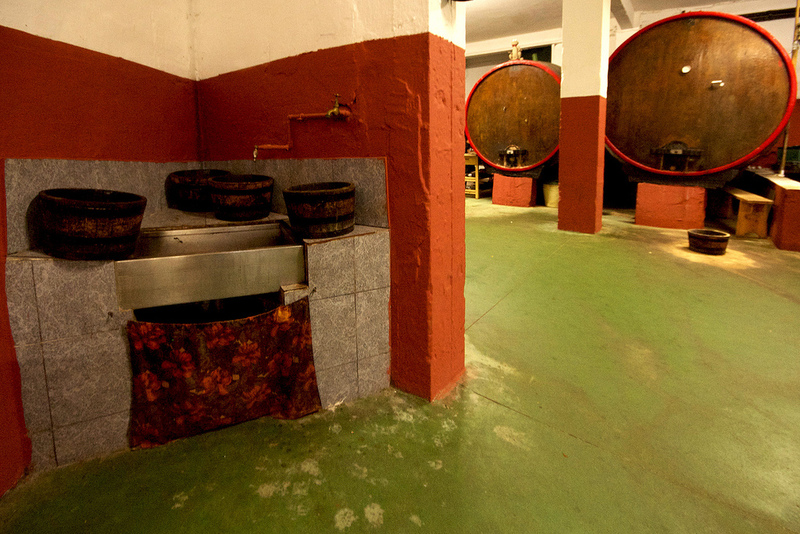 However, the exercise of deliberate evaluation requires the first-order characteristics of sidra natural – sweetness, acidity, tartness, and something I call “apple expression” – be explored in second-order terms, and in comparison to each other. Some bars had an strangely uncharacterful sidra pouring station apparatus, a bar-top device which has been engineered to pour into a glass at height and tilt, am attempt to mimic the traditiona Escanciar. Only in the city do you find these machines. 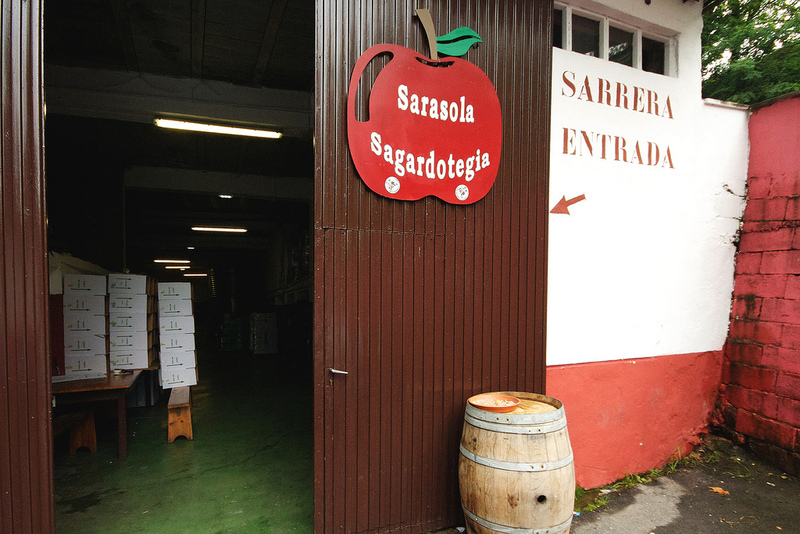 Sagardotegia is the Basque word for cidery. They are called Sidrerías in Spanish. 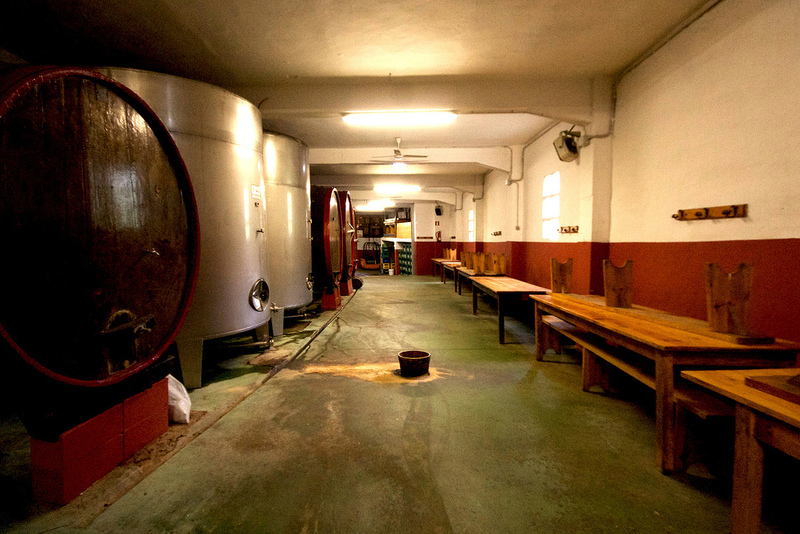 your server will pour sidra for you, take you to a back room filled with large, horizontally-positioned foudres full of fermenting sidra natural, and finally pull a gasket to unplug a small spigot. You hold your glass out into the stream, one person after another moving in a line. 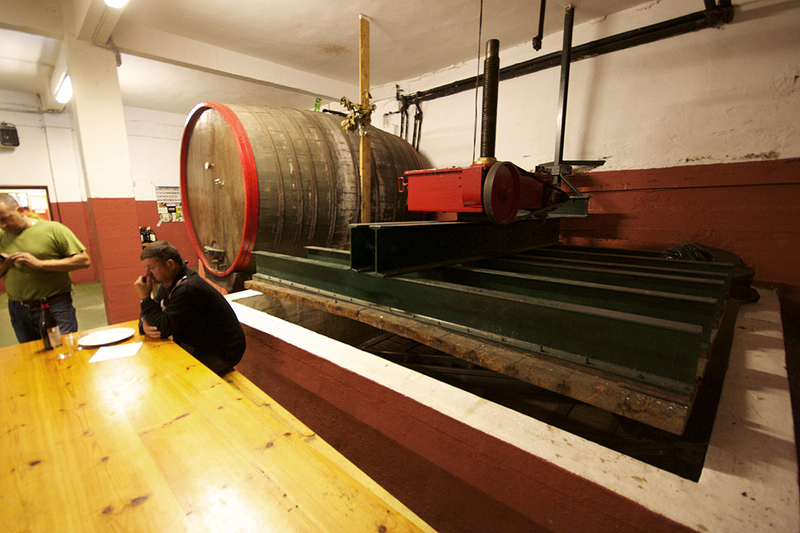 At a true Txotx you would have the barrel squirting sidra non-stop. Short, quick glasses to gulp while it’s freshly aerated, not left to sit around and love it’s effervescence. Sidra natural should not be poured into a glass still. 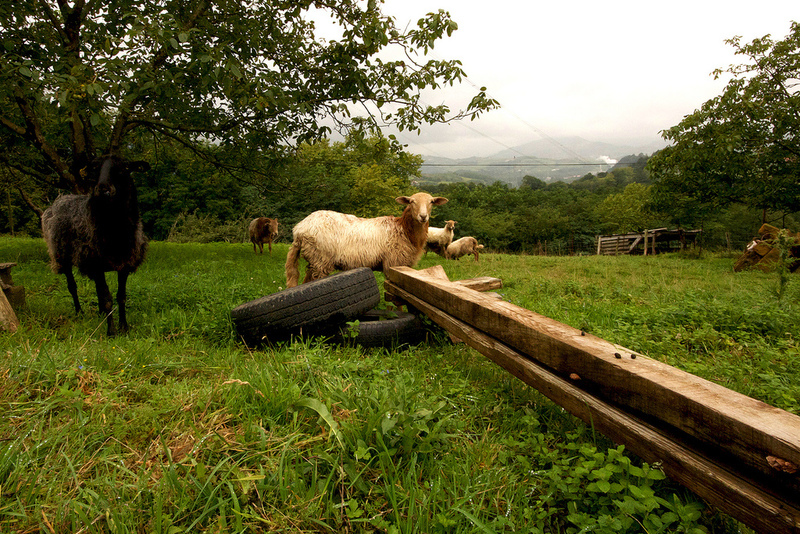 No self-respecting Basque would do such a thing. It’s an easy experiment to try, if you can find a bottle of real Sidra Natural. Test the difference in aroma and mouthfeel and acid / sugar balance between a tall-poured, quickly consumed splash; and that of a low, still pour from the bottle. You don’t have to go full bottle-matador with it – you don’t have to hold the bottle over your head – two feet will work. 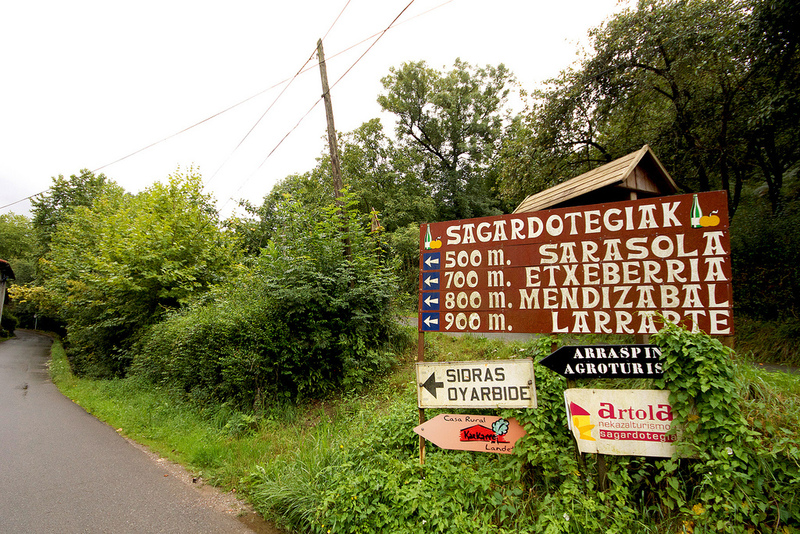 Signs guide you up hill and through apple orchards to nearby sagardotegia. Sarasola, Etxeberria, Mendizabal and Larrarte noted. Many have limited visiting hours, depending on season. Txotx is obviously the best time to visit since you can be sure nearly all houses would be open and pouring straight from the tank. 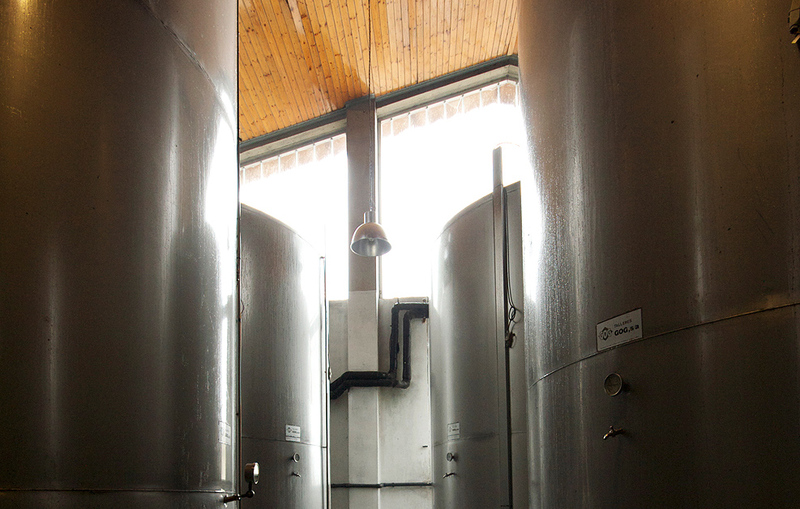 Unlike the others mentioned above, Sarasola was open and welcoming visitors. 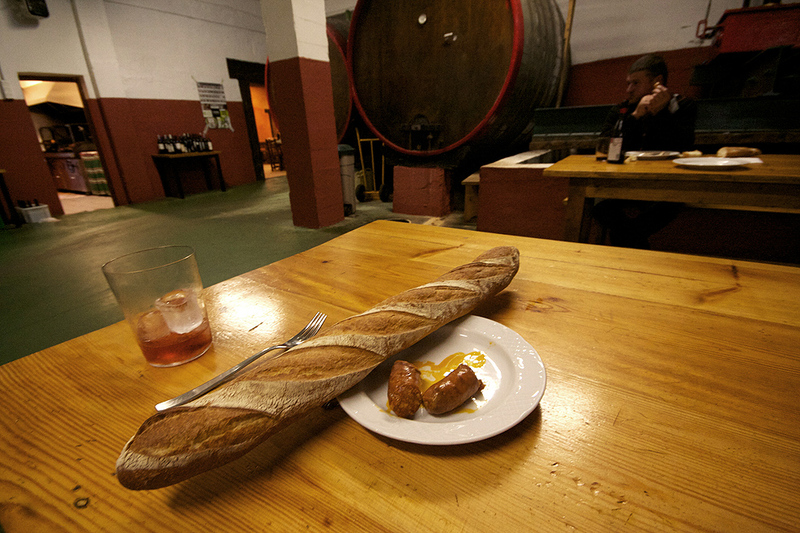 I grabbed some oily chorizo and a baguette and a pull of sidra for a short afternoon lunch. 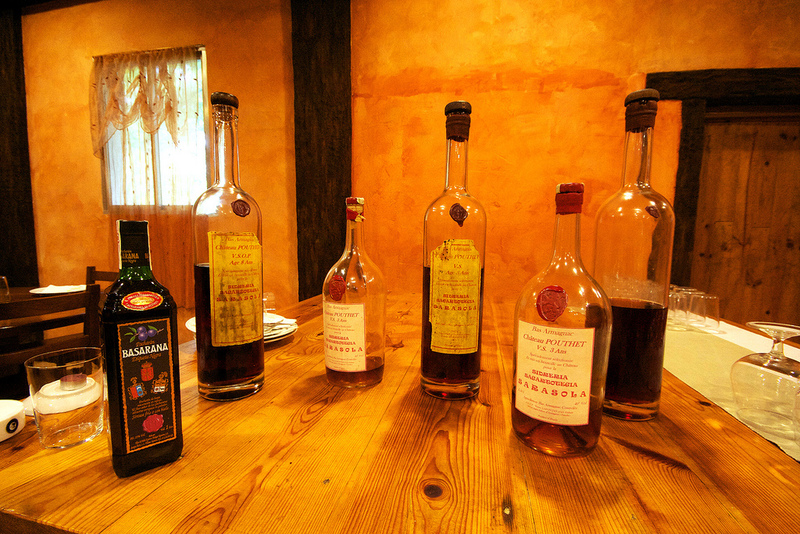 A table of various armagnac from French Basque Country sits out for degustation.